Nikola revealed it’s new hydrogen-powered semi-truck that will have a range of over 1,000 miles. 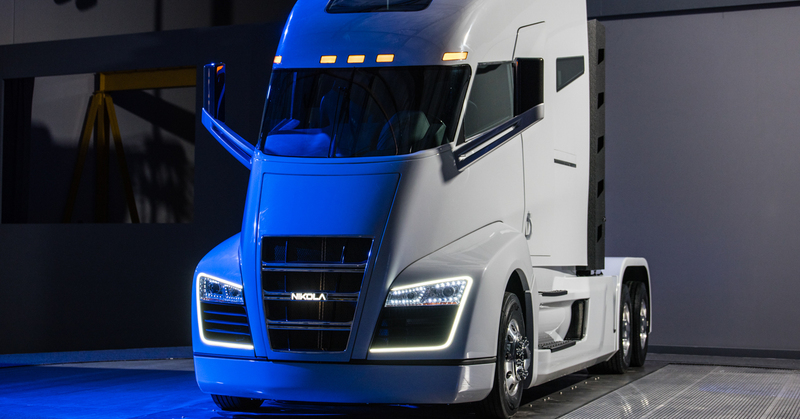 Nikola has staked its claim as the Tesla of trucking with its new Nikola One class-8 big rig. In an era where trucks getting 10 mpg used to be considered great fuel economy, a truck driver with a Nikola 1 can expect to travel 1,200 miles without refueling. That’s enough to get you from Dallas to Las Vegas. When Will We See the Nikola One on the Road? The company announced that the trucks will be ready to haul in 2020. Nikola has yet to decide where it will manufacture the trucks but plans to start by mid-2017. In June, Nikola revealed it contracted over 7,000 truck reservations totaling $2.3 billion in just one month for its emissions-free truck. Where Can a Trucker Find Hydrogen Fuel? Nikola also announced its plans to build stations to refuel its new trucks in the United States and Canada. It plans to have those stations ready by 2019. The trucks technology features an independent system with an electric motor connecting to each wheel to maximize torque and breaking. What do you think? Would you drive one?